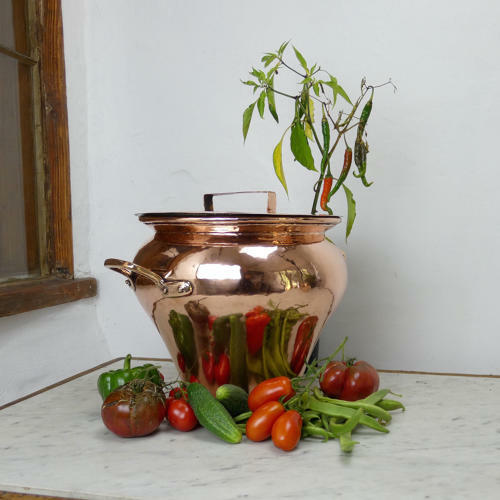 A fabulous shaped, large copper cooking pot. This would have originally been for cooking as the interior had been tinned. The tinning is now quite badly worn so it is purely decorative, but it is a really interesting, decorative shape. The base is quite narrow and this would have made it quite unstable as a cooking pot. It is well made, from quite a heavy gauge of copper and it has castellated seams around the base and up the side. It dates from c.1860 and it is in very good condition.